I’m in the ongoing (never-ending) process of restyling my entire house. 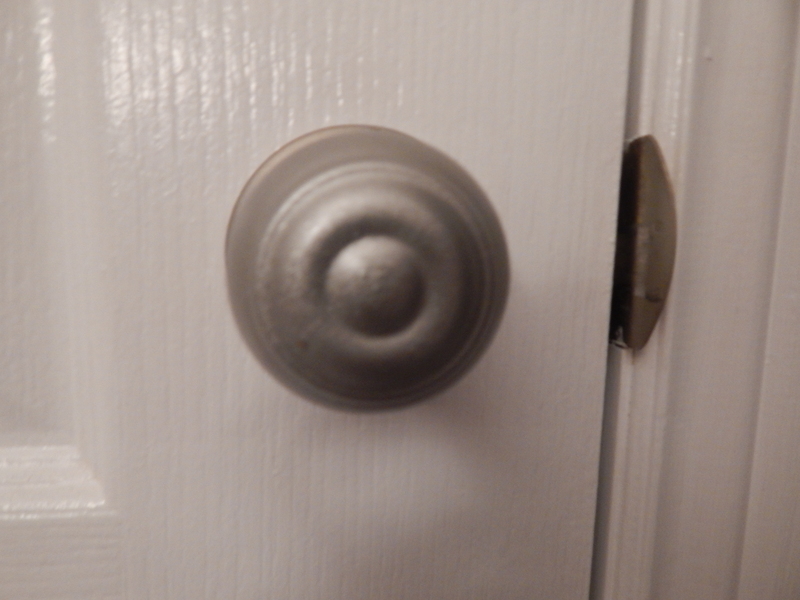 One of the things I wanted to change was the ugly, 1990s shiny brass doorknobs. I had considered buying all new ones but with something like 17 doors in my house, I knew there was a cheaper way. I mean, have you looked at the price of a doorknob lately? Outrageous! 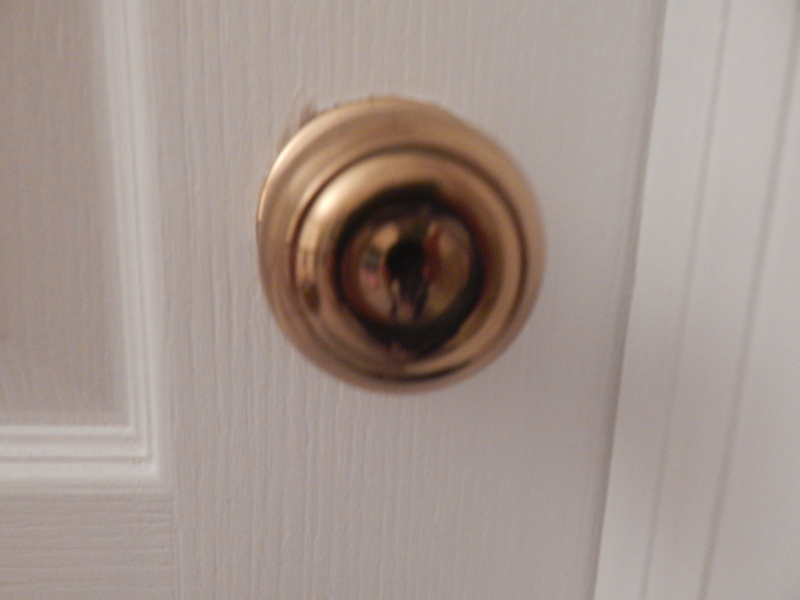 Shiny brass doorknob that had to go. Enter Rustoleum Metallics Spray Paint. This stuff is awesome. There is no need to prime the surface prior to application. All you do is take some fine steel wool and rub the surface. 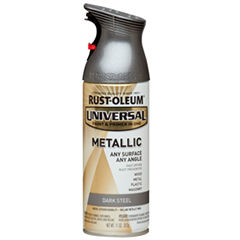 Rustoleum Metallic spray paint in Satin Nickel. I chose the satin nickel finish but this stuff comes in several different colours (steel, silver, bronze, copper). Remove the doorknobs from the doors first and spray them outside. 2 to 3 light coats should be sufficient. When you’re done-new doorknobs and an updated look!